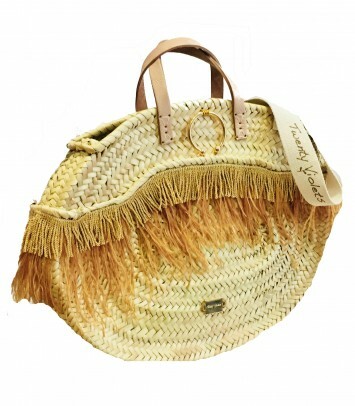 Oval basket made of natural wicker bag type with golden fringe. Unlined carrycot with leather handle and long cotton handle with the Twenty Violets logo printed on it. Approximate measure: 48 x36 cm Crafted by hand, with the best materials and subjected to a high quality control.